DROPPED THE PRICE ON THIS ONE $2000!!!!! 2009 CEDAR CREEK FOREST RIVER M-36RLTS. 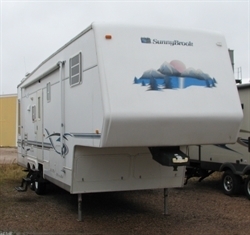 THIS 5TH WHEEL HAS A FOUR SEASON PKG WITH 3 SLIDES. THE TWO OPPOSING SLIDES ON EACH SIDE OF THE LIVING/ KITCHEN AREA OPEN THE AREA UP AND MAKE IT VERY SPACIOUS. IT HAS A BEAUTIFUL REAR LIVING ROOM WITH TV STAND AND SIDE CABINET DISPLAYS-INCLUDING A FIREPLACE. SPACIOUS KITCHEN WITH LOTS OF BEAUTIFUL CABINETS INCLUDING A DOUBLE DOOR REFRIGERATOR THAT RUNS ON ELECTRIC OR GAS. 2 RECLINERS AND A SOFA. QUEEN BED (THAT HAS A MATTRESS --JUST NOT PICTURED) . WARDROBE AND DRESSER -FEATURING AN ATTACHED BATHROOM WITH SHOWER. PLEASE CALL US OR STOP BY TO VIEW THIS UNIT. 605-342-7304 THANK YOU! 2009 CEDAR CREEK FOREST RIVER M-36RLTS. THIS UNIT FEATURES 3 SLIDES WITH A BEAUTIFUL REAR LIVING ROOM WITH TV AND SIDE CABINET DISPLAYS-INCLUDING A FIREPLACE. SPACIOUS KITCHEN WITH LOTS OF BEAUTIFUL CABINETS INCLUDING A DOUBLE DOOR REFRIGERATOR THAT RUNS ON ELECTRIC OR GAS. 2 RECLINERS AND A SOFA. QUEEN BED WITH WARDROBE AND DRESSER -FEATURING AN ATTACHED BATHROOM WITH SHOWER. PLEASE CALL US OR STOP BY TO VIEW THIS UNIT. Hello, I would like more information about the 2009 FOREST RIVER 4 SEASON PKG PRICE DROP!!!! BEAUTIFUL!! CEDAR CREEK, stock# CSGR404. 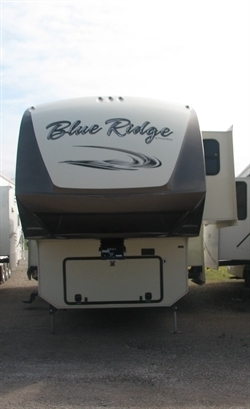 2016 FOREST RIVER BLUE RIDGE JUST LIKE NEW!!!! Hello, I would like to see more pictures of the 2009 FOREST RIVER 4 SEASON PKG PRICE DROP!!!! BEAUTIFUL!! CEDAR CREEK, stock# CSGR404. Ready to drive this 2009 FOREST RIVER 4 SEASON PKG PRICE DROP!!!! BEAUTIFUL!! CEDAR CREEK? Let us know below when you are coming in, and we'll get it ready for you.